Every lunch box should be packed with the seven essentials for a healthy lunch and one of the most important essentials is fruit. Packing fruit for lunch can sometimes be tricky though -- the piece of fruit might be too large for the lunch box, cut fruit may turn brown (which many kids simply won't eat), or you might pack a whole apple, orange or banana - which is more than your child can eat and 1/2 of the fruit goes to waste. But we want our children to eat fruit with their lunch. Here are my six favorite fruit options that can easily be packed in a lunch box and are sure to be gobbled up too. Freeze dried fruits are fun because they are crunchy and a great substitute for chips in the lunch box. 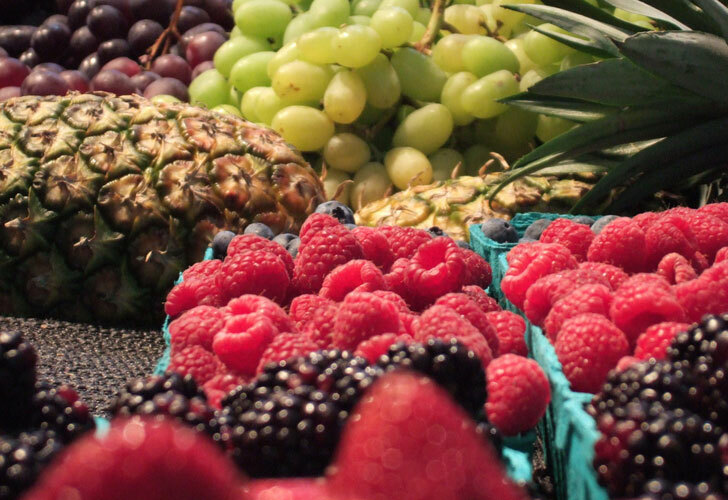 You will want to purchase freeze dried fruit that is free from preservatives. These are another great option because they come in a large assortment of fruits and are perfect for packing. You could also freeze fruits on your own – many kids love frozen grapes! You can make your own homemade fruit juices or smoothies using your high-powered blender. I like to make fruit juices that contain an assortment or fruits and even a vegetable or two. These are easy to pack in my son’s lunch beverage bottle and are a powerhouse when it comes to vitamins and minerals. If you don’t feel like making fruit juice, you can buy fruit juices that have a combination of fruits and veggies in each serving. Sometimes it is easier to add the fruit to the meal itself. My son loves a good fruit pizza for lunch, these can easily be made using a whole-wheat bagel, strawberry cream cheese and then topped with thinly sliced pieces of fruit. 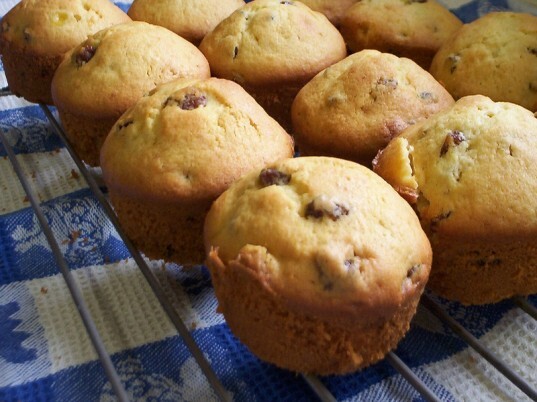 Another option is to bake fruits into breads or muffins. Since most fruit on the bottom yogurts don’t have a large quantity of fruit, I like to make my own. 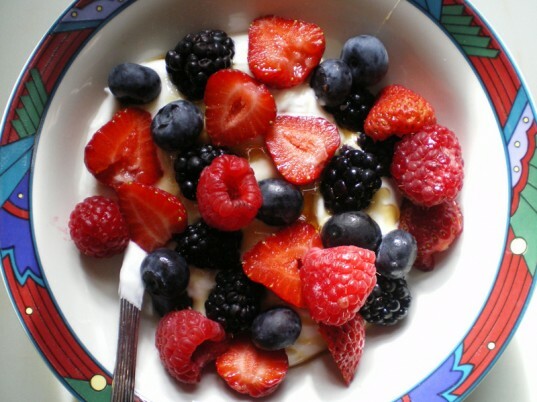 Start with a cup of your child’s favorite yogurt and then add several spoonfuls of fresh, organic fruit and stir in. This is also fantastic for breakfast when you add a little organic granola. 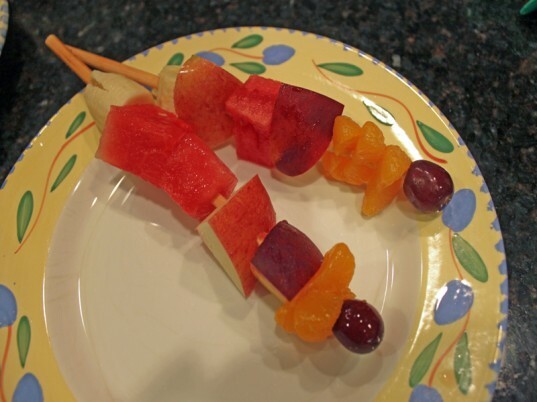 By simply cutting fruit into cubes and placing them on skewer or reusable cocktail stick, you take fruit from ho-hum to yum-fun! There are many ways that you can add fun to fruit, try turning grapes into caterpillars or give one of these 6 fun tips a try. Who doesn’t like dried fruit? It is almost candy like and virtually any fruit can be dried. You want to either purchase or make dried fruit that is organic and dried without added sugars or preservatives. Another option is to dry your own fruit – which just happens to be a fantastic activity to do with your children. You could start with making your own homemade organic fruit roll-ups. 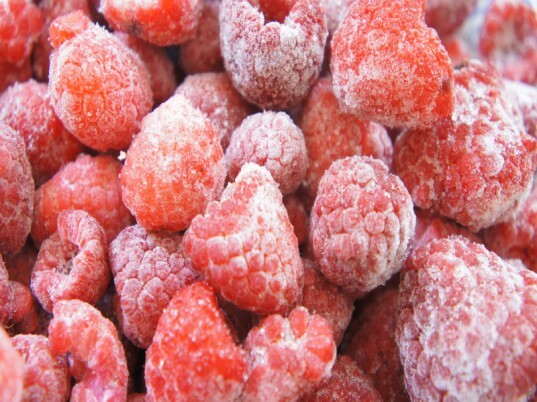 Freeze Dried Fruits are good for our health and they are the best snacks too! More and more people love this kind of amazing food nowadays! Freeze dried fruits are fun because they are crunchy and a great substitute for chips in the lunch box. You will want to purchase freeze dried fruit that is free from preservatives. These are another great option because they come in a large assortment of fruits and are perfect for packing. You could also freeze fruits on your own - many kids love frozen grapes! 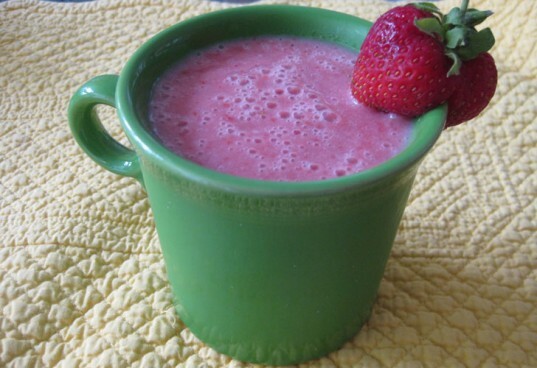 You can make your own homemade fruit juices or smoothies using your high-powered blender. I like to make fruit juices that contain an assortment or fruits and even a vegetable or two. These are easy to pack in my son's lunch beverage bottle and are a powerhouse when it comes to vitamins and minerals. If you don't feel like making fruit juice, you can buy fruit juices that have a combination of fruits and veggies in each serving. Since most fruit on the bottom yogurts don't have a large quantity of fruit, I like to make my own. Start with a cup of your child's favorite yogurt and then add several spoonfuls of fresh, organic fruit and stir in. This is also fantastic for breakfast when you add a little organic granola. Who doesn't like dried fruit? It is almost candy like and virtually any fruit can be dried. You want to either purchase or make dried fruit that is organic and dried without added sugars or preservatives. Another option is to dry your own fruit - which just happens to be a fantastic activity to do with your children. 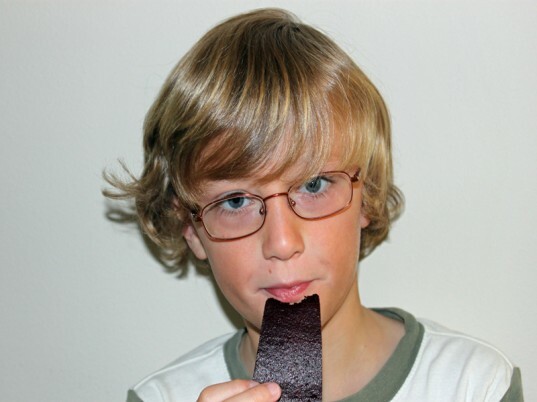 You could start with making your own homemade organic fruit roll-ups.